Database testing is a kind of software testing where you make sure that what you enter on web forms that information is being saved in to basked database as expected. Data constraints are maintained while doing migration or up gradation of your web application. You meta data gets intact. CRUD operations are working as required. The most important thing which matters is the transaction flows between User Interface and back-end. Database testing in the image clearly depicts the layered process between User Interface and Database layer. User Interface Layer: is what is actually used by the end user for entering data. 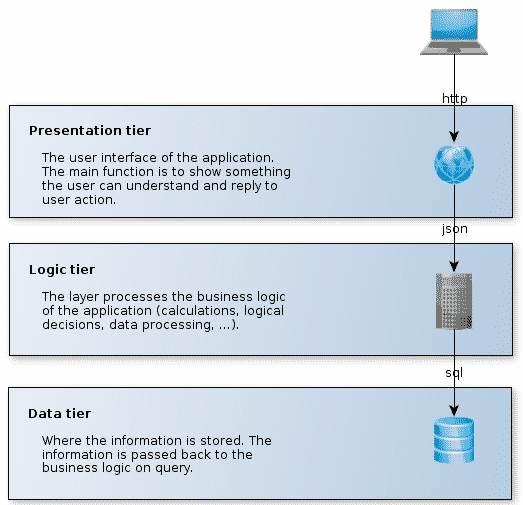 Business Logic Layer: contains all the database related to the particular domain that keeps on changing with time. Data Access Layer: is the most important and critical layer because it is the one that actually communicates with the database layer. Performance related to the database. Testing of Procedure, triggers, and functions. Atomicity: All or Nothing rule i.e. if you are doing a transaction it is either to be executed completely or its not executed at all. Isolation: It ensures multiple transactions being processed without interference at the same time securely and independently. Isolation, however, does not ensure the order of transaction that will be executed first or later. Durability: It ensures that any transaction that is committed in a database is not lost. How To Write Test Cases For Database Testing? A software tester should prefer writing a separate set of test scenarios and test cases for database testing. That’s how you can make sure your test cases are independent and won’t mix with the UI related use cases. Database testing is a type of grey-box testing. And if you don’t’ know, then note that it’s a mixture of both black box & white box testing methods. So the tester would need to know about the internal functioning of the application and also about the database structure used. At times, an application could be using multiple databases so you should be aware of how they relate to each other. Also, make a data mapping sheet which should tell you the UI actions and the tables (and columns) getting affected when the action takes place. For example, sometimes it would intend adding a row in one table and update another row in a different table. While writing the test cases, you need to keep an eye on all of these actions to successfully test a database. And as we’ve said earlier in this post that you need good SQL skills for testing databases. It will help you write efficient SQL queries that extract data from a table without returning thousands of rows from the database table. You can use the below guidelines to prepare good test cases for database testing. Get clarity on the functional requirements. Create test cases with multiple input data and try to cover all the paths. After writing the test cases, refer to the following checklist and see if any information is missing. The tests are taking care of all the backend tables used for each requirement. If application/database is using status flags, then tests should verify each of them. Tests cover the triggers/stored procedures with combinations of input and expected output parameters. Tables might have columns with default values, tests should check them too. What Are The Possible Test Scenarios For Database Testing? Here, we are listing down three types of scenarios possible for testing a database. General tests should capture the following scenarios. Name of the log file. Disk space allocation for databases. Names of all tables, columns, and their types. Verify keys (primary/foreign), indexes, and data types of columns used. Functions inside stored procedures and possible combinations. End to end data flow starting from the front end to the backend. Create test scripts for major features and use them for regression testing at regular intervals. Write tests that track errors (OOM/deadlocks/exceptions) in log files. Change data in backend tables and watch the effect on the frontend. Insert invalid values from the backend and observe the effect.